Mainland police departments are making it easy for rookie and veteran officers to relocate. With 246 vacancies, the HPD may start doing the same. A single exam next month could put dozens of police officers in Hawaii on the path to a significant pay raise. That is, if they move to Seattle. Welcome to today’s police recruiting wars. For the first time in more than 15 years, the Seattle Police Department is coming to the islands. On Feb. 27, the Seattle department will offer “lateral” exams in Honolulu for new applicants and veteran officers. The Honolulu Police Department may make it easier for mainland police officers to relocate to the islands. The timing is not good for the Honolulu Police Department. 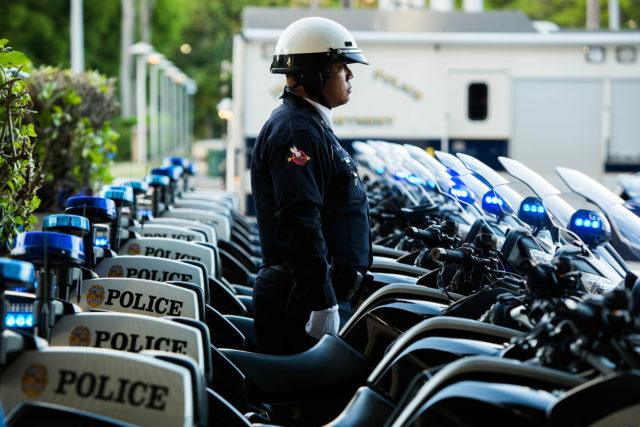 At the end of 2018, the HPD had 246 vacancies. “Anytime we lose someone, it’s a setback,” said Assistant Chief John McCarthy. Seattle is coming armed with much better salaries and more frequent raises. Starting salary for a police officer in Honolulu is $65,592 per year versus $81,444 for a newly sworn officer in Seattle. For veteran officers, the pay gap is even larger. 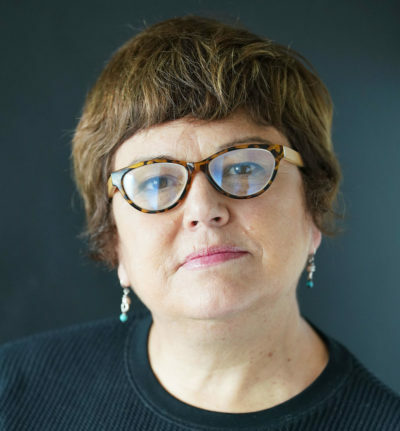 Police officers with more than four years of experience in Seattle can make $110,000 in base pay, according to Mike Fields, SPD’s executive director of human resources. In Honolulu, an officer with five years’ experience makes a base pay of $68,000. Seattle and other mainland police agencies have another significant lure: no lengthy police academy training for veteran officers wanting to relocate. Police departments in Hawaii do not allow mainland officers to transfer directly here without having to go through the police academy and then weeks of additional field training. That can add up to more than six months. Seattle is offering to let police officers transfer from Hawaii after a two-week police academy and an abbreviated field training, Fields said. Applicants from Hawaii with no previous police experience would undergo a 16-week police academy, then subsequent field training. 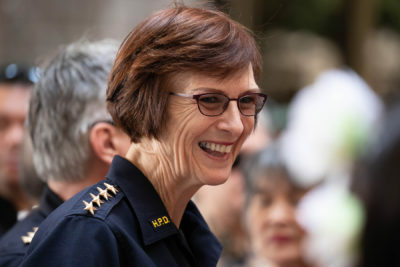 HPD Chief Susan Ballard and her executive team have been looking at easing the lateral transfer policy in Honolulu, and it is one of her goals for 2019. HPD is reviewing policies used elsewhere. “HPD is always concerned about losing qualified applicants to other departments or businesses,” Assistant Chief Jonathon Grems said. If the department offered a less extensive academy for mid-career police officers from the mainland, more veteran officers could fill those HPD vacancies quicker. Honolulu Police Chief Susan Ballard wants to make lateral transfers to her department easier. Making transfers from the mainland easier may be HPD’s best hope. At a Honolulu Police Commission meeting two months ago, Ballard noted that only 10 percent of the recent applicants were passing the department background check. The stumbling blocks are applicants with criminal histories, large debt and spotty work histories. Policing as a career option has taken a hit over the past two decades thanks to a nationwide low unemployment rate, better private sector options and publicity about violent police encounters. That tight market and negative press has forced a lot of police departments to move away from the SWAT-heavy image, portraying their departments as being filled instead with thoughtful problem solvers. But even with a lighter recruiting touch, the reality is policing is hard work. “This job, people don’t want to do it anymore,” lamented Malcom Lutu, president of the State of Hawaii Organization of Police Officers. Lutu said he would favor an easier lateral transfer policy, but he still wants a thorough vetting of mainland officers. “We don’t know what kind of training their background is,” Lutu said. Even if mainland salaries are higher, Honolulu has a lot to offer potential recruits, said the HPD’s McCarthy. And the HPD can take comfort knowing that not all out-of-state police recruiting efforts in Hawaii pay off. Two years ago, 11 officers from the San Jose Police Department came to Honolulu on an 11-day recruiting trip. That effort ended up being criticized by San Jose’s mayor as a waste of tax dollars. More than $42,000 was spent flying and lodging San Jose representatives and all that city got for its trouble were six possible recruits.